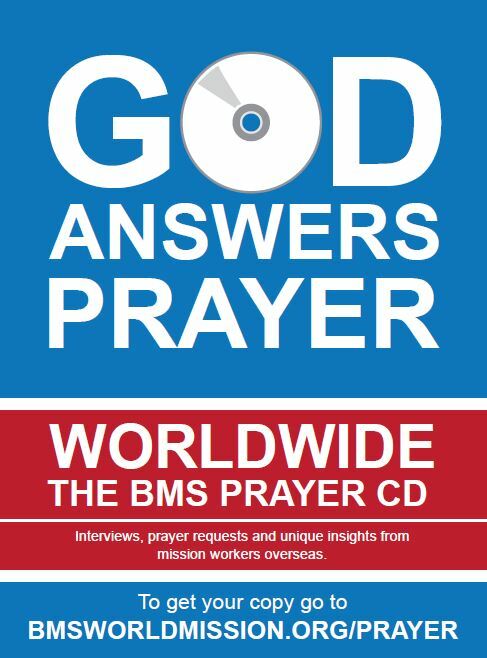 Worldwide, the BMS Prayer CD, is a free CD-based audio resource for churches, small groups and individuals. Each CD features three interviews with BMS mission workers, separate summaries of prayer requests and photographs for use in presentations. Worldwide comes out once every three months and is perfect for individuals or groups wanting to inform their prayer for world mission.